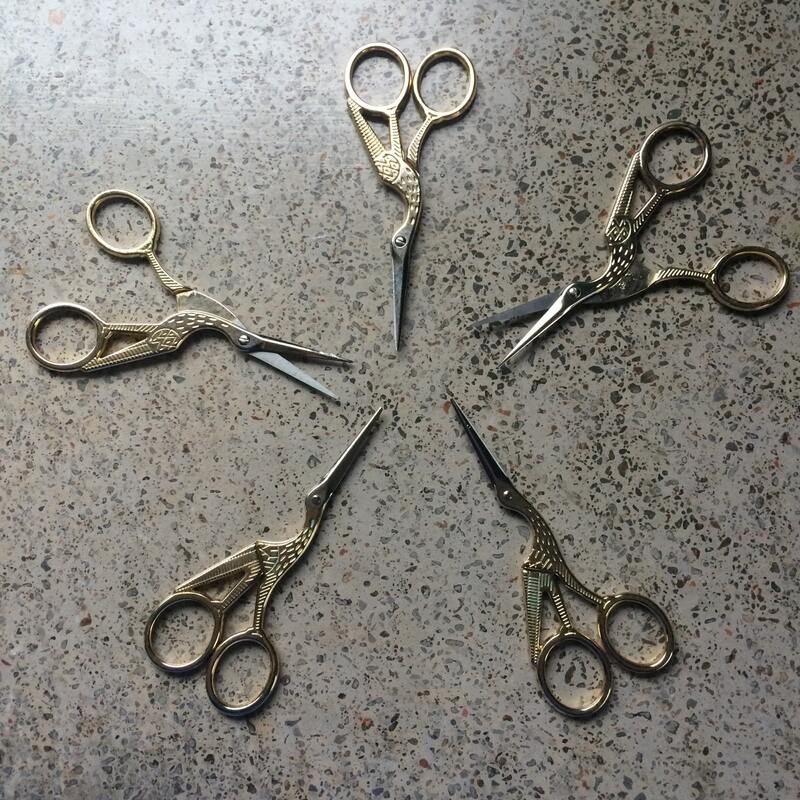 Heavy duty metal scissors measure approximately 3.5 in/8.9 cm tall. Just like your Grandma used to have in her sewing box! Great size for travel. 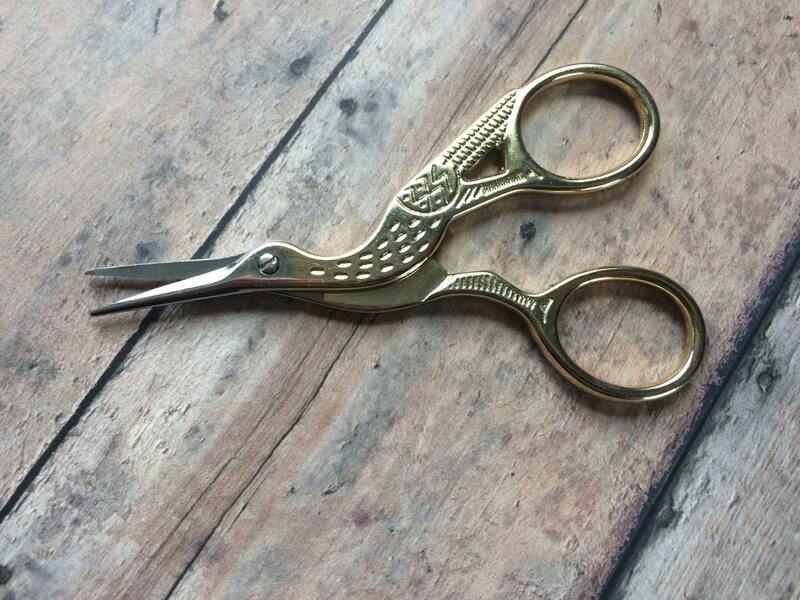 These have a golden handle and body, while the tips are silver.